Most pickup trucks, SUVs, and vans can be equipped to tow an recreational vehicle trailer. However, selecting an appropriate RV tow vehicle and the proper equipment to tow an RV trailer depends on the type of trailer and its size and weight. There are numerous types of recreational vehicle trailers… including travel trailers, fifth-wheel trailers, and folding camping trailers. And these RVs come in all sizes and weights. 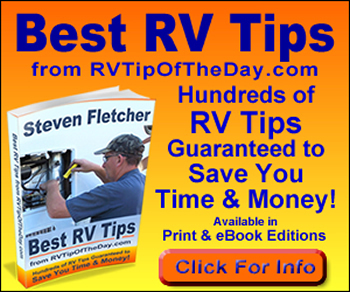 If you already have an RV tow vehicle, check the owners manual and review the manufacturers guide to see if if can tow the size and kind of trailer you want to tow. Look up its tow rating… the size, maximum loaded weight, and maximum tongue weight of a trailer that the tow vehicle is capable of towing. The vehicle owners manual contains these specifications. If you are buying a tow vehicle, most automotive manufacturers make available to their dealerships printed towing specification guides with tow ratings and detailed information regarding extra equipment needed to tow a trailer. Never, ever, take a salesman’s, mechanic’s or any other persons word… ask for a read the manufacturers printed material. You should understand that even though your neighbors 3/4 ton pickup can tow the trailer of your dreams it doesn’t mean your 3/4 pickup will. Tow vehicles equipped with a manufacturer’s tow package will most likely be rated to tow a substantially larger and heavier trailer than a similar vehicle not so equipped. A manufacturer’s towing package upgrades a standard model and may include a heavy duty radiator, battery, flasher system, alternator, suspension, and brakes, as well as an engine-oil cooler, transmission-oil cooler, wiring harness, trailer brake controller, specific rear axle ratio, and special wheels and tires. Towing packages often include the trailer hitch receiver, which is mounted to the tow vehicle, but towing packages rarely include the draw bar, (sometimes called a ball mount), and hitch ball. The draw bar is a separate assembly on which the hitch ball is mounted. The draw bar then slides into the hitch receiver on the tow vehicle and is secured with a locking pin. The front part of the trailer that hitches to the tow vehicle is referred to as the tongue. At the end of the tongue is a coupler into which the hitch ball is inserted and secured. Vehicle manufacturers may offer different towing packages to safely tow various sizes and types of trailers. Towing packages indicate both equipment that must be installed on your tow vehicle and equipment that is optional or recommended. For example, not all trailers require the tow vehicle to be equipped with extended side-view mirrors. But if you are towing a trailer that is wider than your tow vehicle, you will need extended side-view mirrors to see rear and side-approaching traffic. Also, a tow package suitable for towing an RV travel trailer may not be equipped to tow a fifth-wheel RV.